Junior Leadership Corps. also known as JLC, is a place where students train hard, and do many fun activities. JLC crew members must do many rigorous task that make them feel a sense of pride and determination. Join our three music options! Do you love to play an instrument? If you do, band or orchestra is the place to be. In both of these music departments you get to choose an instrument you can play and you perform for parents and other peers. On the other hand, do you like to sing. If you do, join chorus all you need is your voice anyone can join. You also, perform in concerts, and sing to your peers. See Mr. Jennings about band! See Ms. Roman about orchestra! See Ms. Deller for chorus. Once you are in you will not want to get out. CRCT is over, how do you think you did? CRCT is now done all test have been submitted, but how did you think you did? Comment on the blog page. Do you like to run, well STOP and look at this!!! 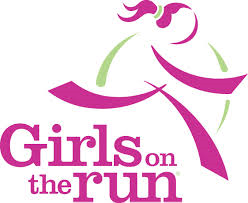 Girls on the Run is a special club, directed by Ms. Weaver, many fun activities are done. At the end of a semester you get to participate in a real marathon. If you like to run talk to Ms. Weaver.